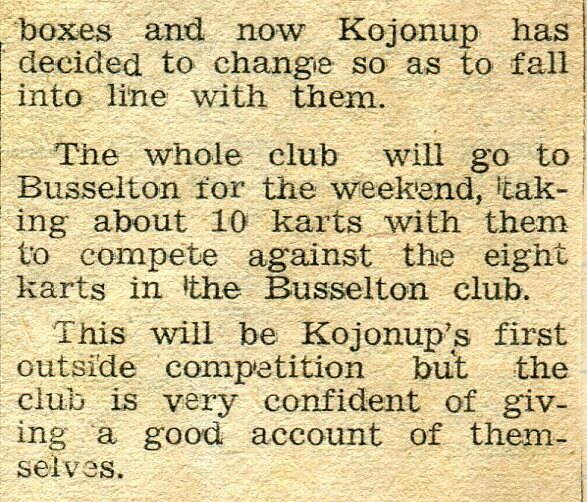 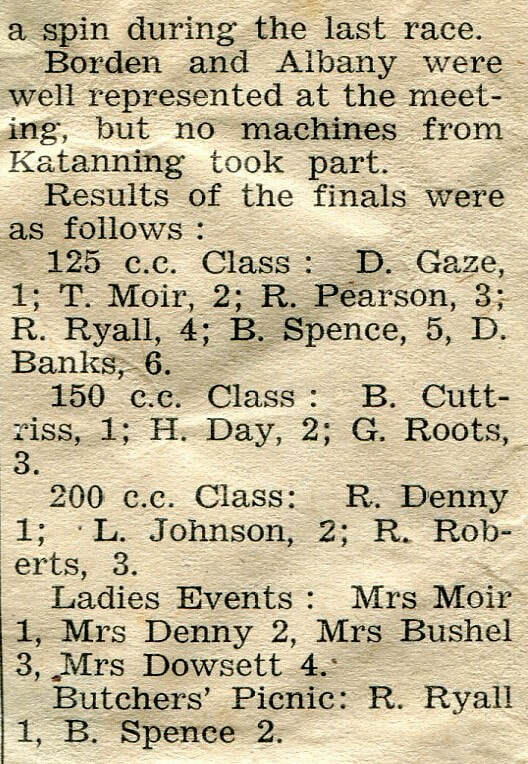 Karting got its start in Kojonup in the late 1950's when a dirt track was build within the Kojonup Showground area, This tracks life was only short lived as a replacement asphalt sealed track was under construction. 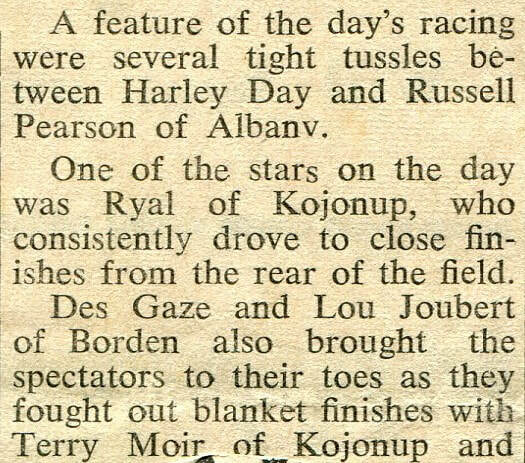 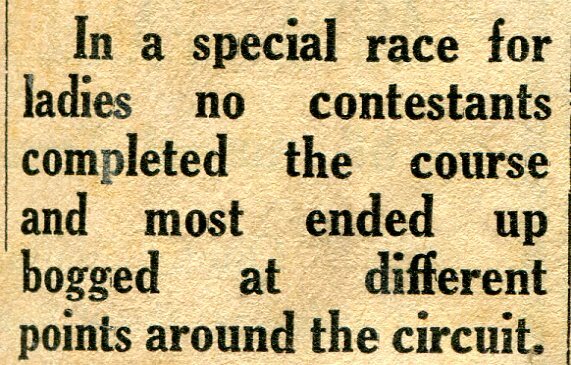 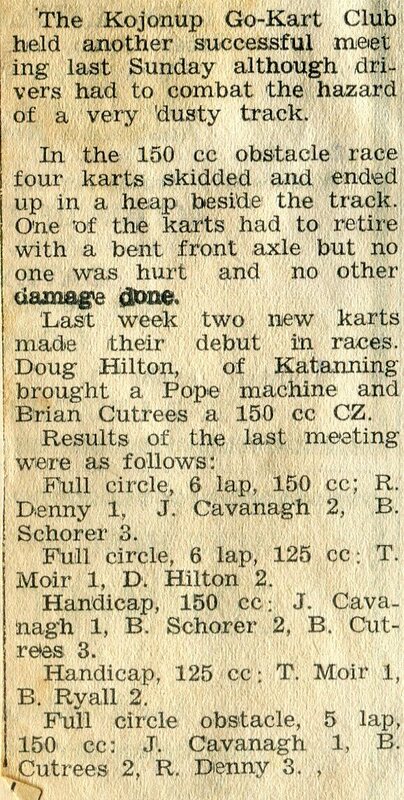 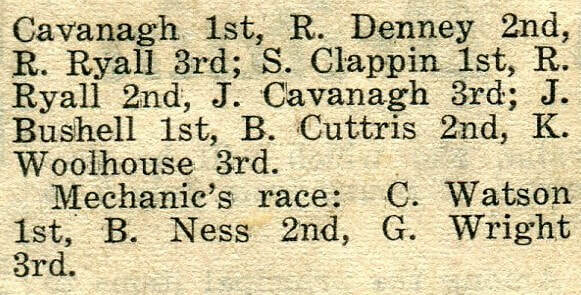 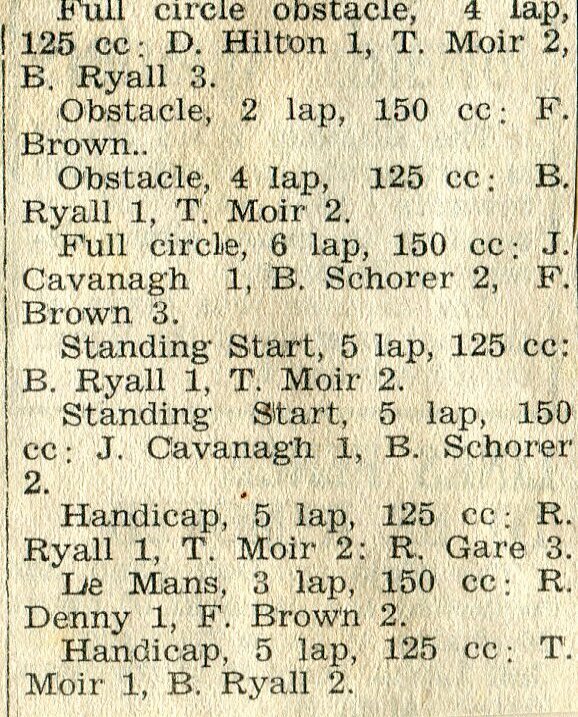 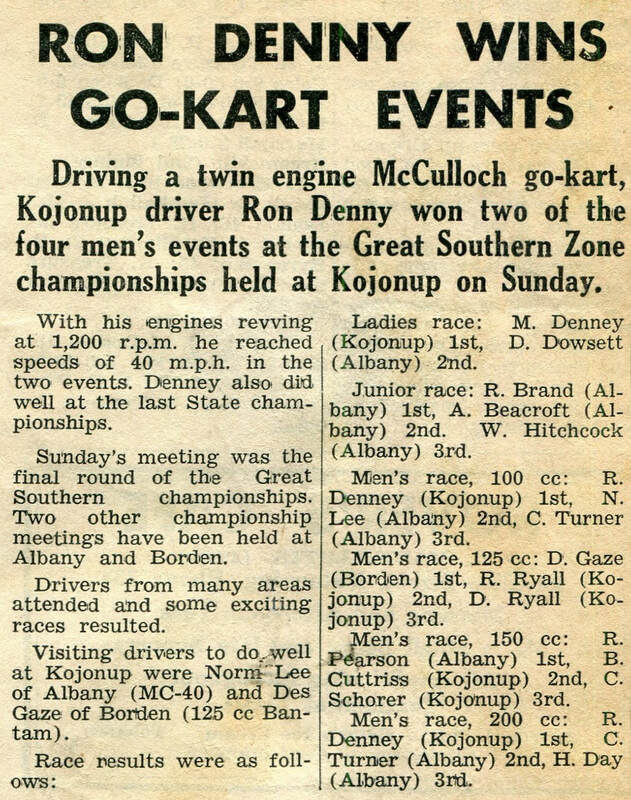 Ron Denny recalls: One of those good days, had no problems with the Kart or the engine, A most enjoyable day. 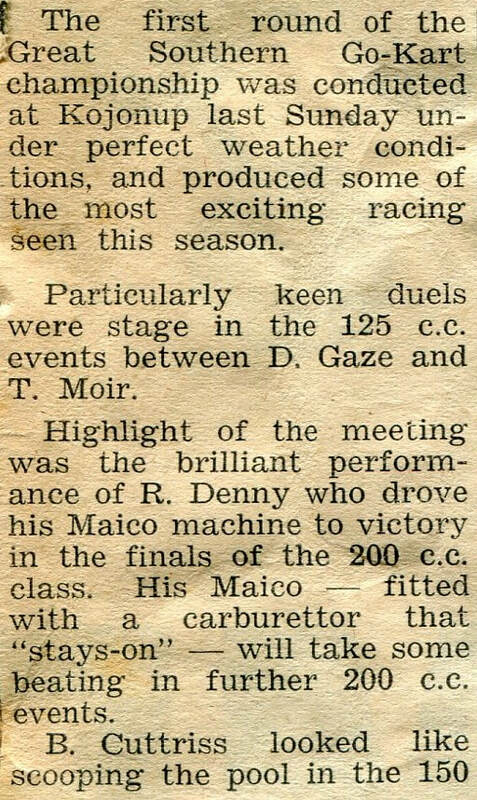 Ron Denny Recalls: I fitted a new Amal carburetor, performed fairly well although did not have the speed of the Villiers carby's. 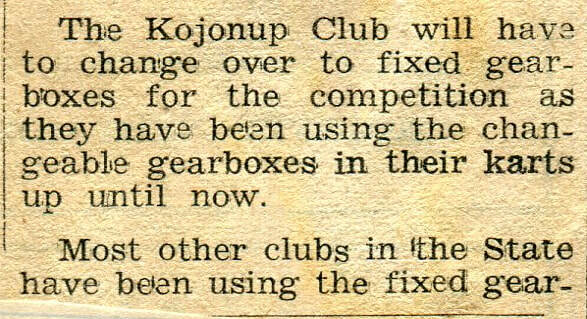 Also had a new Matchless air cleaner fitted, that was a lot more efficient. 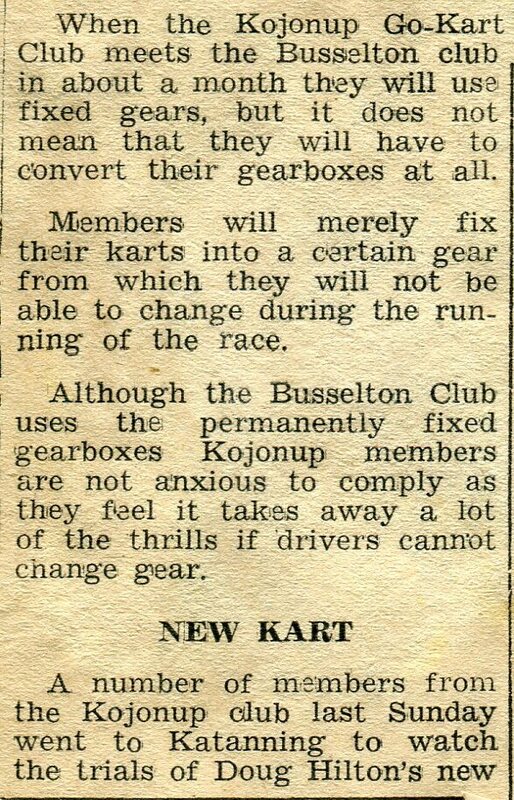 Ron Denny Recalls: Not a good day for me, Piston Ring broke and cut piston to peices, Had to replace piston, rings and gudgeon pin. 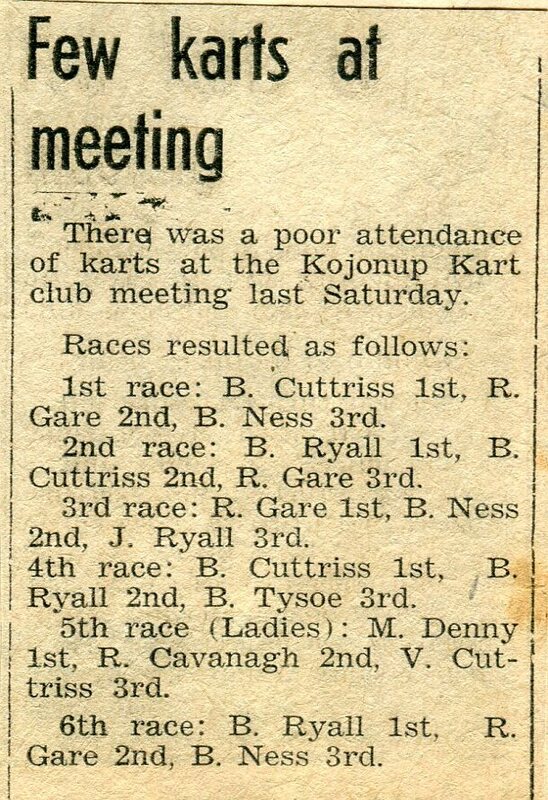 Nothing remains of this old dirt Kart track, the area is a car park for the showgrounds. 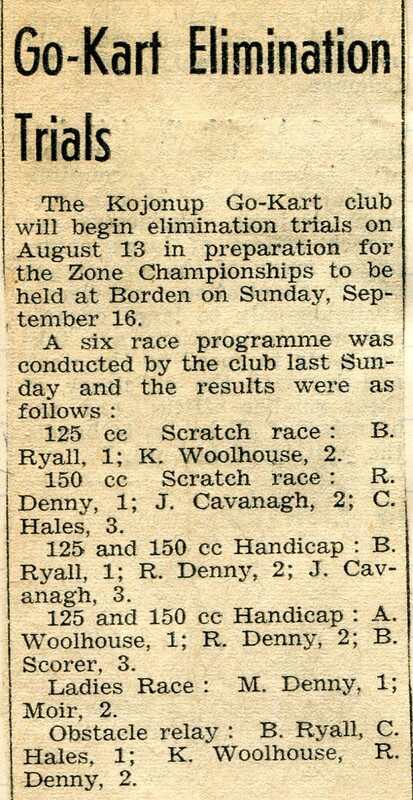 This track was built with the assistance of BHP, Unlike the first track this one was a asphalt sealed surface and of a very high standard, The club soon found itself running some very professional race meetings that were very well supported by the Karting community. 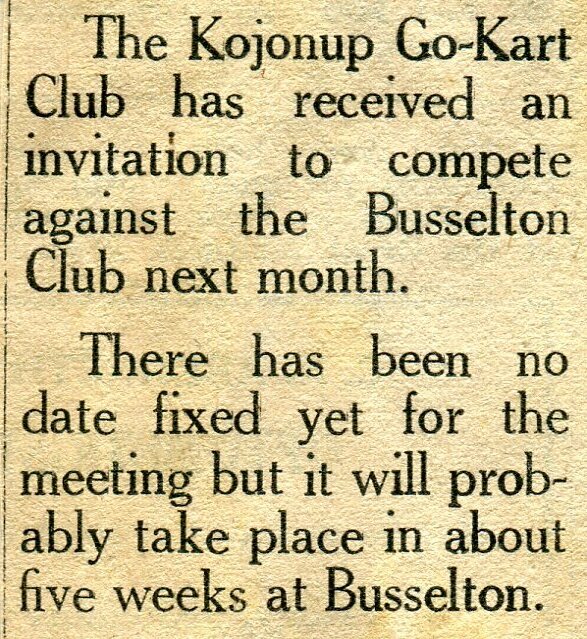 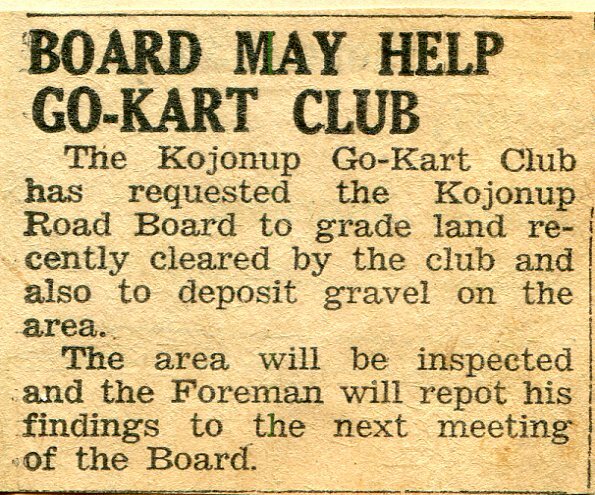 Work was progressing on the new Kojonup Go Kart track, with the bitumen surface being layed in February of 1963. 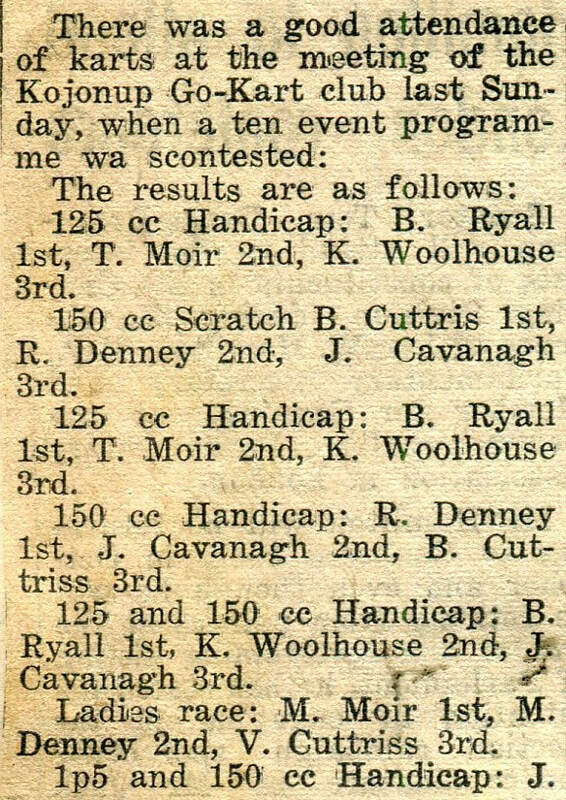 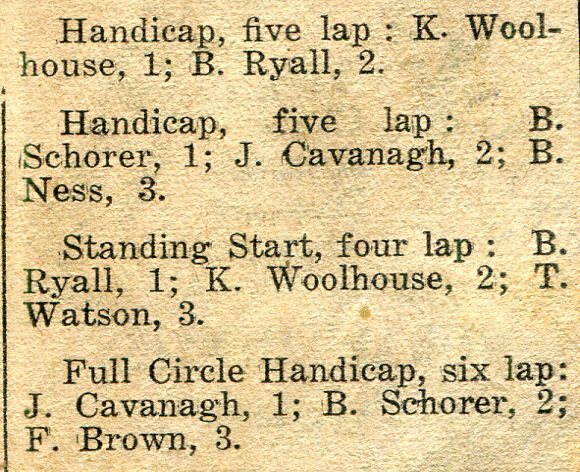 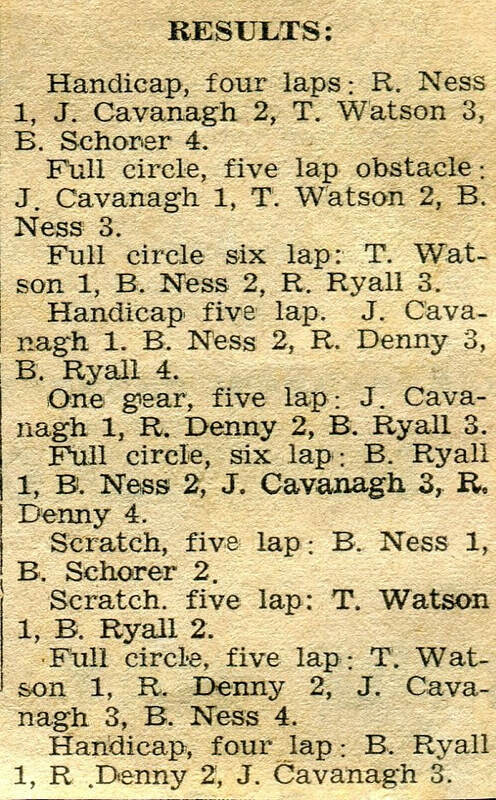 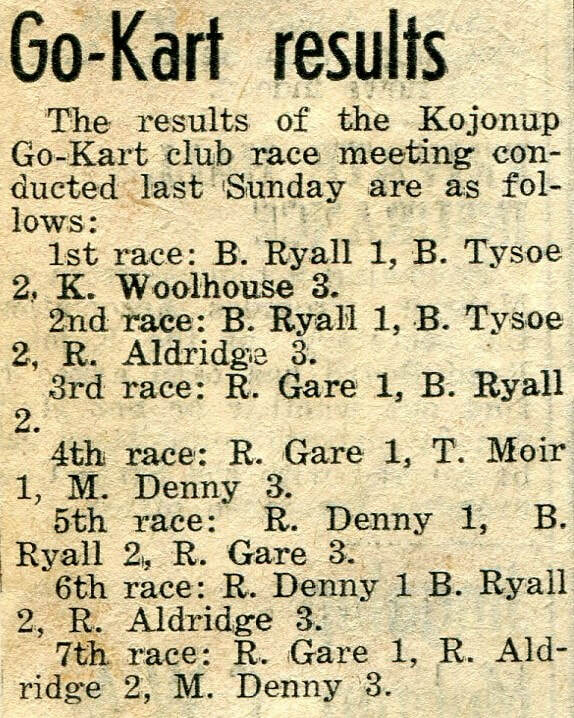 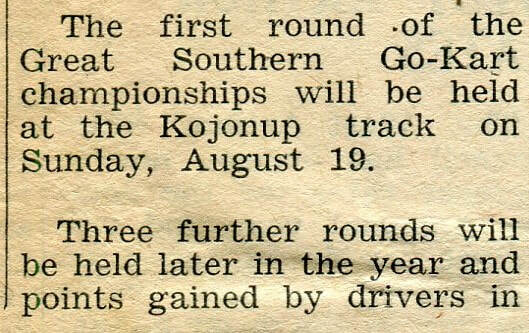 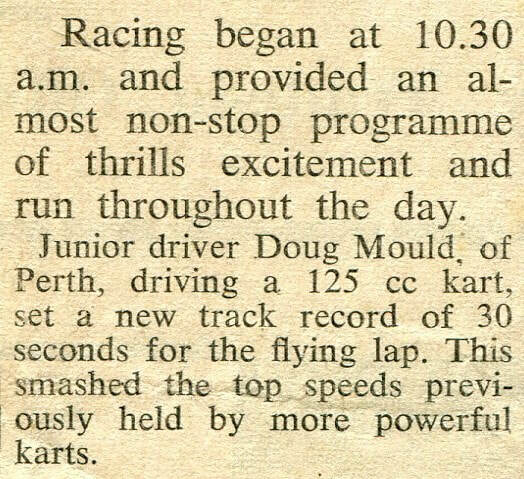 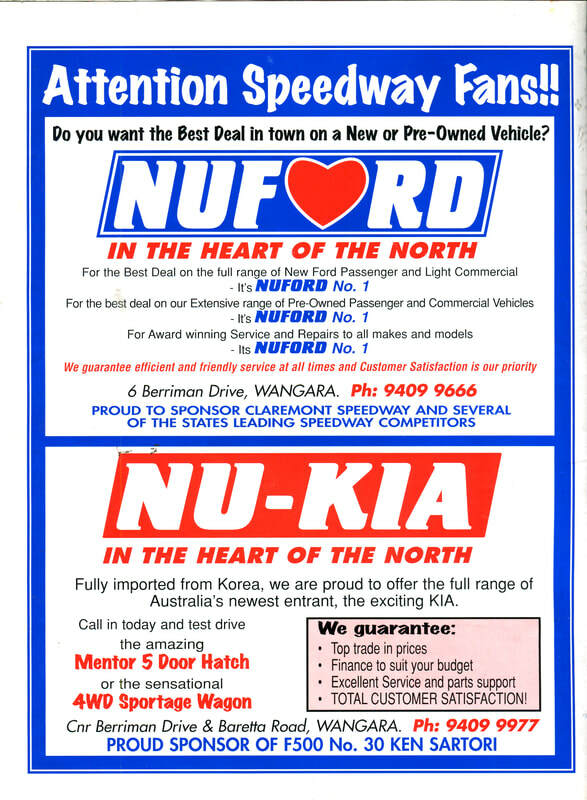 A dirt kart track was built on the infield of the Kojonup Speedway after the speedway closed, Very little is known out this period of Kart racing.